This week the meal plan features lots of quick and easy meals, it’s a busy week and I want food to be fuss free and really simple to make. Chicken and bacon subs rolls – these will be stuffed with leftover roast chicken, crispy smoked bacon, avocado and salad, served alongside a mug of soup or BBQ potato wedges. Chicken tikka with fluffy rice, cucumber raita and naan breads. Quick sweet chilli chicken stir fry with coconut rice and topped with a pile of raw vegetable strips. Homemade burgers, topped with cheese, relish and pickles. Maybe served with a side of smoky wedges. 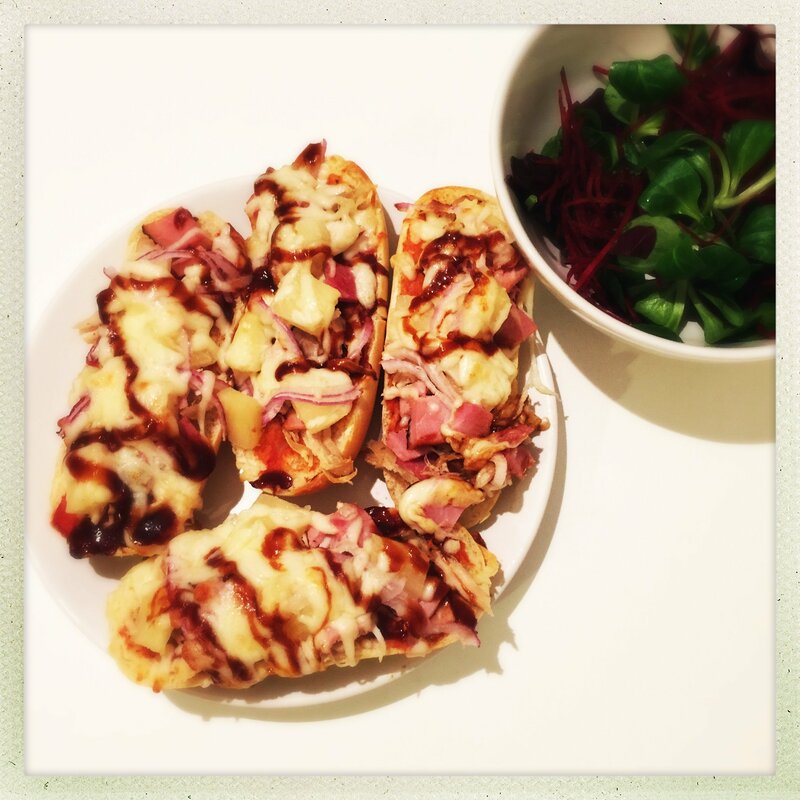 French bread pizza, this is a huge favourite here, really quick to make and totally delicious. These ones will be topped with ham, pineapple and cheese. As there’s an important little persons birthday… today will be all about the kids style party tea. Think sausages on sticks and jelly with ice-cream. 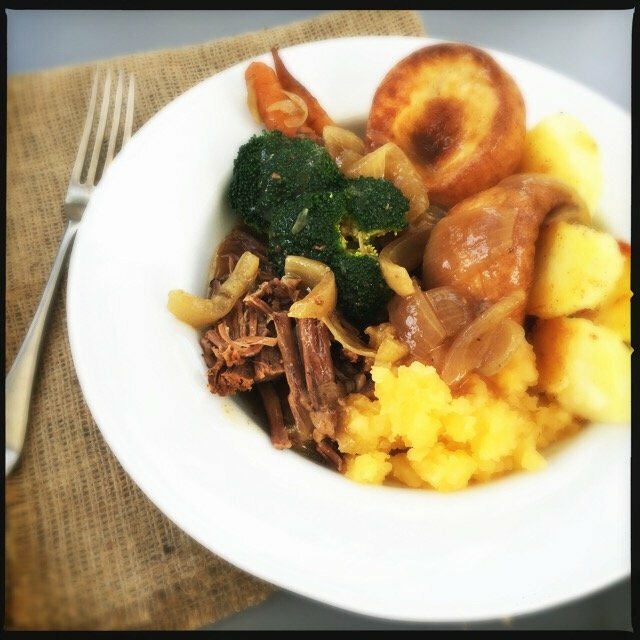 A little lazy Sunday dinner this week with the slow cooker doing the hard work. 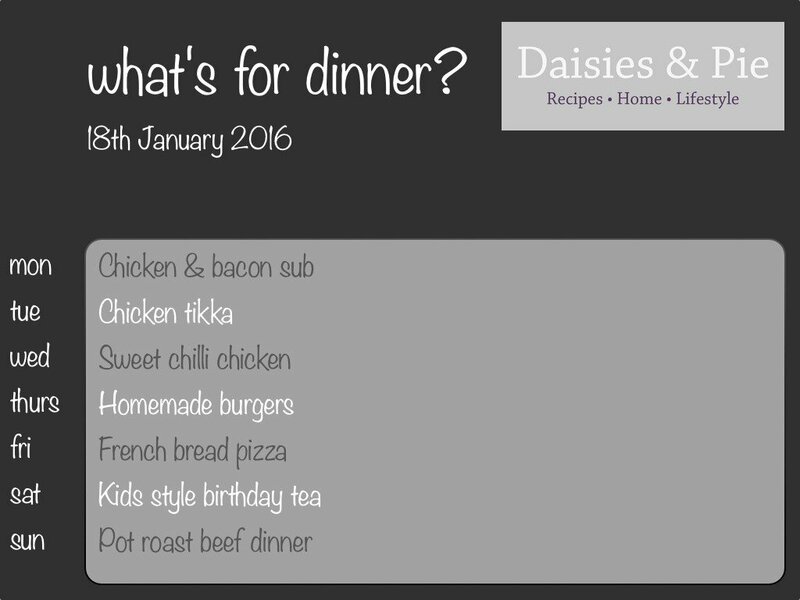 I’ll be serving up slow cooker brisket with roast potatoes, green veggies and probably a little Cartmel sticky toffee pudding for afterwards. 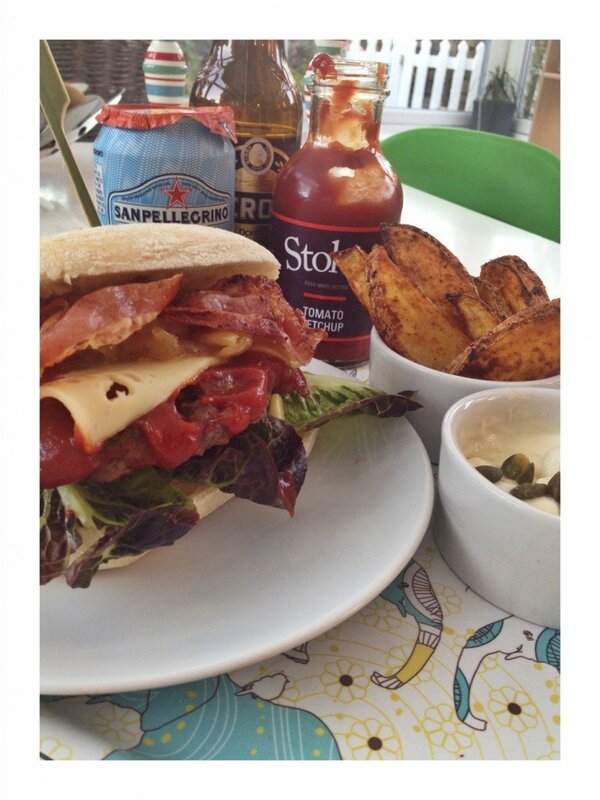 Sunday should always be about the comfort food!